​Zappeion Hall, an attractive building designed by Theophil Hansen, was constructed from 1874 to 1888. In the past few years some of the most significant events in the history of Greece have taken place here, such as European summits, and significant political conferences and announcements. Art exhibitions and occasional concerts are held here. Near Zappeion Hall there is Aigli, a nice café and restaurant and an open-air cinema of the same name, and the Zappeion Gardens, a refuge of green in the heart of the city. The Roman Baths by the Zappeion, in Athens. The site of the Roman Baths, built at the end of the 3rd century AD, is located within the Zappeion grounds on Vassilissis Amalias Avenue. Although at first outside the original city walls, this idyllic site with its plentiful running waters and dense vegetation was an important place of worship for many deities. 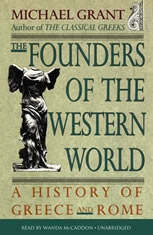 After the completion of the temple of Olympian Zeus and the construction of Hadrian's Gate during the city's expansion, the area became part of the inner city, and a number of new sanctuaries, private and public buildings and baths were constructed. 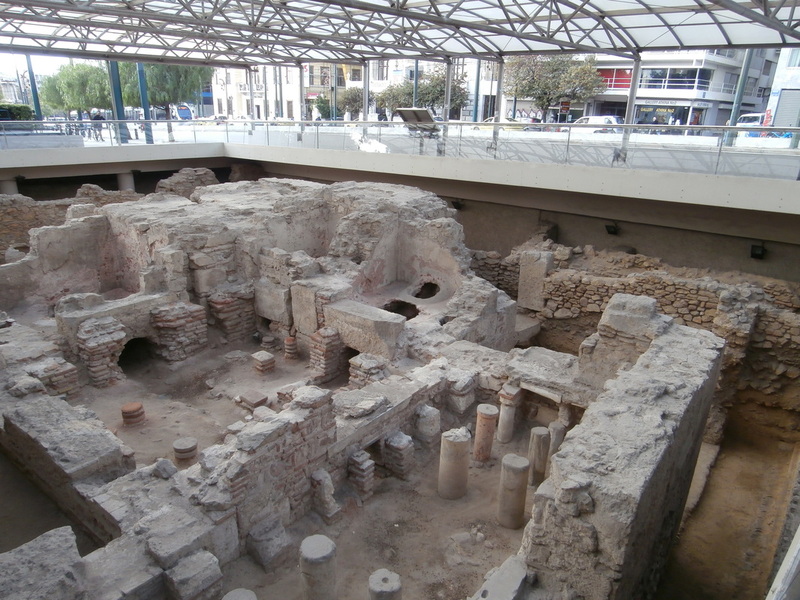 The site was discovered during excavations for the construction of the Athens Metro. It was conserved, roofed, and made accessible to the public in 2004. ​The larger of the hypocausts has fifteen column supports, some of them cylindrical, some square. 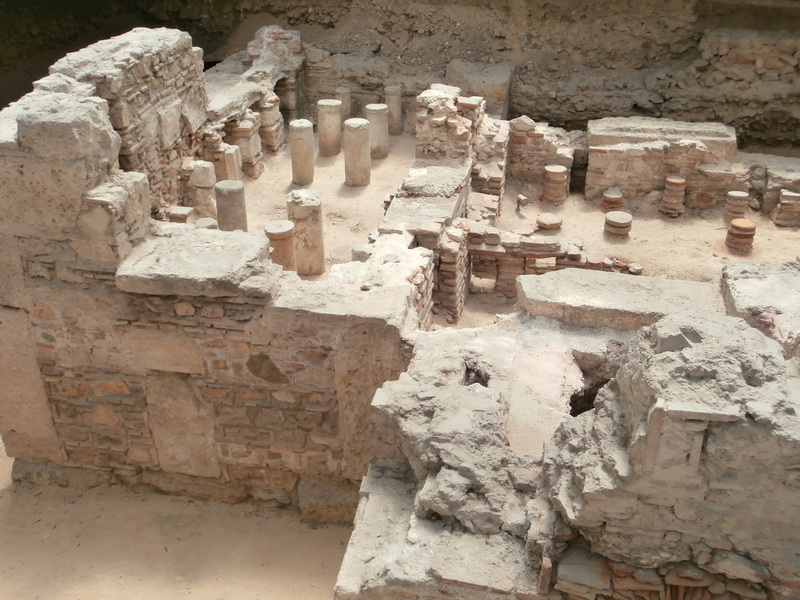 This hypocaust served the room with the hot baths (caldarium). Immediately to the north lies yet another oblong hypocaust, the floor of which was supported by seventeen marble columns instead of hypocausts. This is the room with the warm baths (lepidarium). 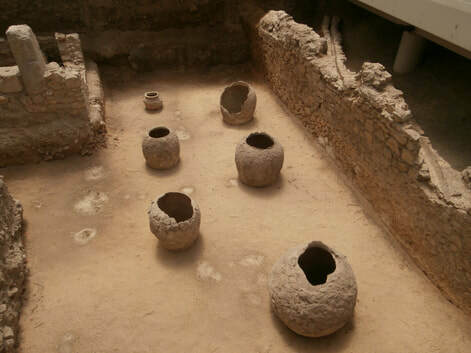 The two furnaces are connected to the hot baths by underground vaulted passages. Hot air was circulated via three small chambers. Vertical openings in the chambers provided ventilation and the heating of the walls themselves. 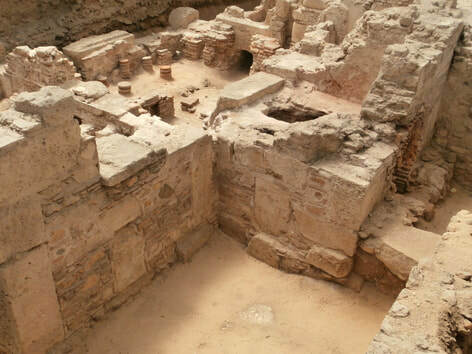 To this phase belongs a large well-built rectangular tank, with a thick coat of hydraulic plaster inside and marble slabs outside, which supplied water through two openings to the two found marble basins. ​​In the second phase, occurring in the 5th-6th c. A.D., the hypocaust rooms were repaired and brought back to use. Four new chambers were built with tiled floors. One of these was constructed underground with a vaulted roof, and in it a well was dug for drawing up water. These rooms have wall-paintings that testify to their later use as refuge or martyrs' memorial in the early Christian years. 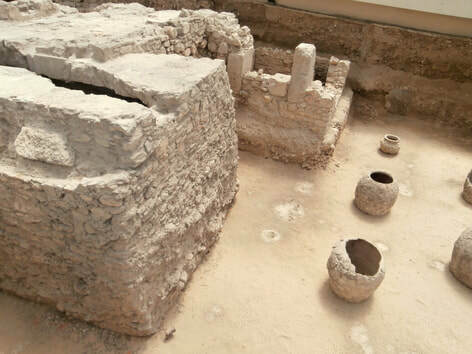 During the Byzantine times, clay silos for storing cereal were sunk into the floor of the rooms of the bath-houses, some of which were restored in the south part of the archaeological site. Acropolis view from the rooftop of Amalia Hotel, Athens. Right across from the Zappeion Hall & Gardens, on Amalias Street, the Athens Key recommends Amalia Hotel. It features comfortable rooms with satellite & pay TV and WiFi access. The modern rooms at Amalia Hotel are spacious and have AC. 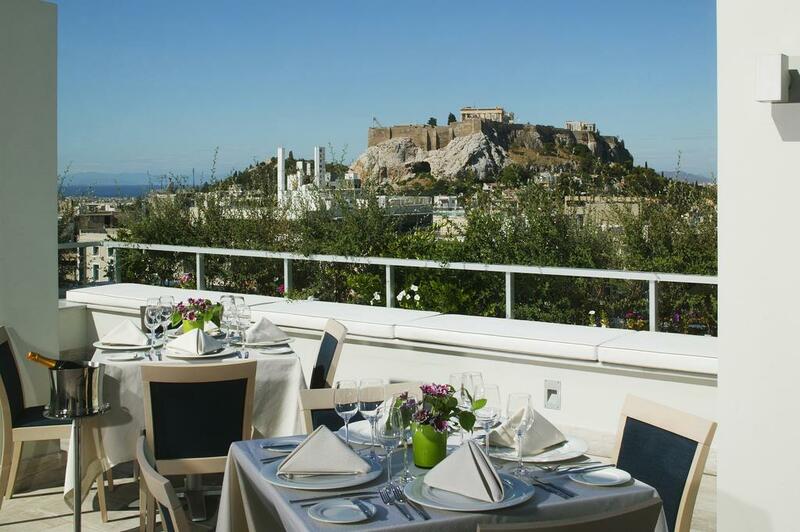 Deluxe rooms have balcony with views of the National Gardens, the Lycabettus Hill and the Parliament. A rich American buffet breakfast and a la carte lunch or dinner is served in Amalia's restaurant. Light snacks and drinks are served at the Chrysalis Lobby Lounge bar. Awarded with the Green Key eco-label, Amalia Hotel uses environmentally friendly toiletries and cleaning products, as well as quality organic foods and drinks.